The Crown Inn has seven beautiful bedrooms, each combining traditional charm with modern convenience. Promising a special stay in the Kent countryside, all rooms are elegantly designed and well appointed - with some providing private balconies and views over Chislehurst Common. All rooms feature free WiFi, a TV and little extras like a handy hairdryer plus tea and coffee making facilities. A lift to the first floor provides disabled access, and there is also a room available with enhanced accessibility. Wake up to views over Chislehurst Common in this stunning feature room, which boasts a private balcony and roll-top bath. There’s everything you need here for a relaxed and romantic break. Perfect for a relaxing getaway in Kent, this superior double room features its own private balcony, affording great views across Chislehurst Common. Enjoy a blissful night’s sleep in our standard double rooms, offering great comfort and superb value for money. 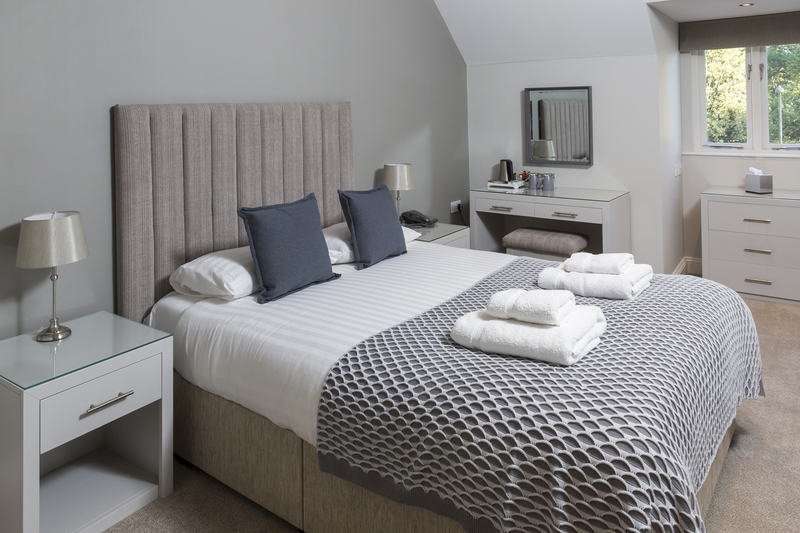 Our stylishly twin rooms offer great value and come with everything you need for a comfortable, relaxing stay.